What lessons can we learn from Warren Buffett’s Investing strategies. Whether you like him or not, his investment strategies are the best, which made him one of the richest people in the world. 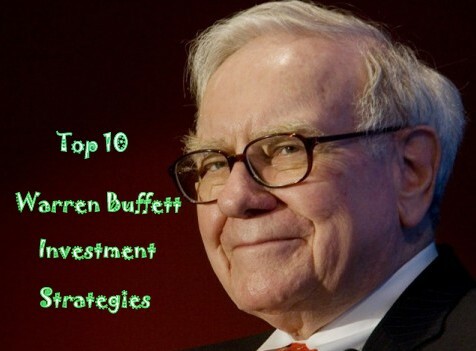 Warren Buffett‘s investment advice or his investing strategies are priceless and if you can grasp these strategies you should do well as an investor. We know there are other investment strategies out there, but his strategies are both easy to follow and have been successful for several years. Above everything else, Warren Buffett believes in the power of compounding over time with patience. In investing, this means starting as early as possible avoiding short term risk even if it means lower returns and letting investing returns build upon themselves. Buffett bought his first stock when he was just 11 years old. Moat means competitive advantage that one company has over the other companies in the same sector. Warren buffett coined this term. Buffet always looks for firms with sustainable competitive advantages. The stronger the company’s moat, the most likely it will lead for decades like Coco-cola. Companies with greater competitive advantages have the ability to outperform in good and challenging times. This is one of the advices Buffet got from his mentor Benjamin Graham, the father of value investing. Margin of safety refers to buying securities when the market price is significantly below its intrinsic value. Buying securities with a margin of safety reduces risk and provides allowance for uncertain negative events. One of the personal investing advices of buffet is to invest in the business which you understand and never invest in anything in which you don’t have any knowledge. This is the reason he refrained from the technology stocks. If you understand a business, you could have an upper hand when it comes to buying the stock. Buffett holds his stocks for a long time when he finds a gem. Buffett personally recommends holding on to your stock for a long term. Buying and selling securities frequently will cost you commission charges which you have to pay to the broker. The important thing in investing is finding great investments and holding it for long term. Buffett doesn’t give much attention to EPS (Earnings per Share), a measure of a company’s profitability for each stock. Instead he considers companies with good return on equity, companies which generate a lot of cash, companies with solid operating margins and reasonable or no debt. He likes to invest in companies with consistent operating history and also looks to measures how well a company performs in different kinds of market including good and hard times. Buffett believes in quality companies not in stock symbols. Most investors invest in the symbols or brands of successful companies without analyzing the business they invest in. As Buffet says “Invest like you are buying the whole company or business”. Treat investing as if you are buying the entire company. Investors are expected to know with the following before buying the stock. What are the company’s products? Who are its competitors? What differentiates it from them? What is risk in owning the company stock? An intelligent investor should analyze whether the stock in news has real value or it is just glittering at the moment. It is always beneficial to do your homework before investing in each and every company. It is wise to diversify your investments across sectors and in different asset classes. “It takes decades to build a reputation and minutes to spoil it. If you think about it, you’ll do things differently”. It is necessary for the investors to think logically while investing and researching a stock. You should keep on asking yourself why you want to buy a particular stock and should eliminate decision making based on emotions, intuition and herd mentality. As advised by Buffett – avoid the noise, do your own research and constantly update your knowledge and stock picking skills. Be a Smart Investor. Once, when Buffett was a teen, he went to the racetrack. He bet on a race and lost. To regain his money back, he bet on another race. He lost again, leaving him nothing. He felt sick as he had lost nearly a week's earnings. He never repeated that mistake. You should Know when to walk away from a loss, and don't let anxiety or your emotions fool you into trying again.